Join us for the 8th annual Cecil County Food & Wine Festival. Enjoy wine tastings, wine by the glass or bottle, great food, live music, shopping the craft vendors and beautiful views of the Northeast River. Bring a chair or blanket to sit under a tree, at the water’s edge or in front of the bands. We are excited to be teaming up with the Cecil County for their 8th annual Cecil County Food & Wine Festival on July 21, 2018. This year the organizer has decided to make this a bi-industry event inviting Maryland Breweries to participate. Space is somewhat limited, so participants may be chosen from a hat if the event is oversubscribed. General Event Policies Please review this page prior to attending a BAM event. You agree to comply with our policies and festival manual upon RSVP to our events. Volunteer information Each Brewery is afforded 5 [five] volunteer passes for use by legitimate staff and volunteers only. They will be checked-in at the front gate. Please bring your volunteer list to the front gate when you arrive Saturday morning. License/Permit Off-Site Event Permit – Grow & Fortify, LLC is applying for a Non-Profit Beer Festival Permit for the festival. Breweries will attend under the state-issued Off-Site Permit. Breweries must notify the Comptroller of their planned attendance by the 20th of the month prior via the protocols listed here. Rentals Each Brewery attending brings their own 10×10 pop-up, tables, and linens. Premium Pours Breweries may charge $1/sample for up to 50% of products offered for sample, and conspicuously display fees to customers. Alcohol Server Information Coming Soon! Setup style Pop-up tents scattered around venue. Breweries must provide their own pop-up tent. Sitemap and layout All Breweries will be in 10×10 spaces, Volunteers on hand to place wineries when they arrive Saturday morning. Water Water is available on-site. The festival sponsors have requested each winery bring water coolers/buckets – enough to replace them as they are being refilled. Promotion Sample social media post: Join us for the 7th annual Cecil County Food & Wine Festival. 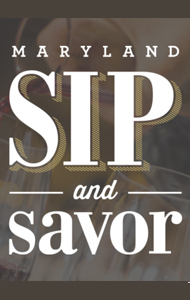 Enjoy wine and beer tastings, wine or beer by the glass, great food, live music, shopping the craft vendors and beautiful views of the Northeast River. Bring a chair or blanket to sit under a tree, at the water’s edge or in front of the bands. Comp Guest Passes BAM has complimentary guest passes for Breweries to share with VIPs and top wholesale customers. Please email us if you’d like to add names to the list.